Give a nice welcome to Roland!, leader of the Residents! 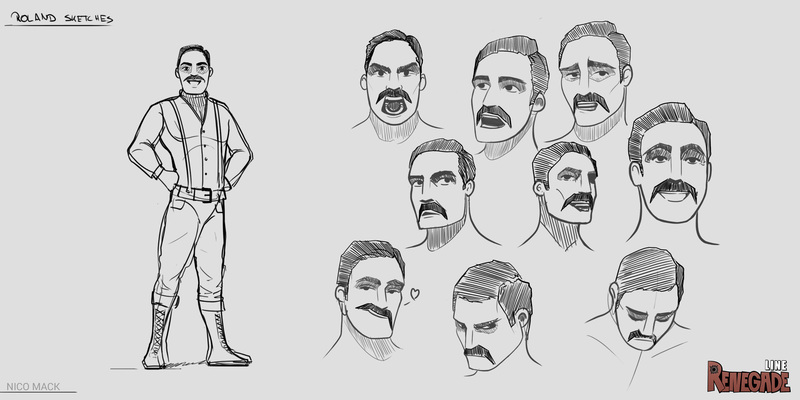 This is a character concept still not finalized! 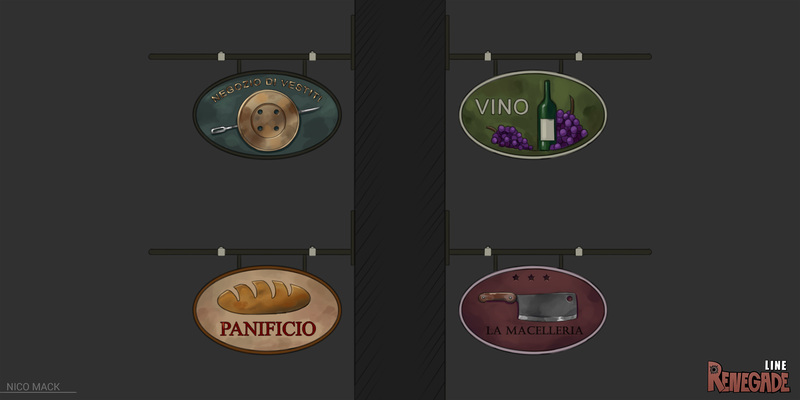 And here is some store "shield" signs concept art for buildings! Leave your opinions here and in our official channels! I just KNEW that Roland was going to be a fancy man. Who knows he will like his wine? Looking good. I really like those logos for the the buildings. You doing great, keep it up. Hey Rafa, thanks for the feedback! We are still open to suggestions regarding Roland's name as we are still early enough in the development and writing of the story. Also don't worry, he will have a surname! The leader of the residents looks pretty cool, same about the store signs.